First of all, I just love the title of this book! I think it's the perfect mantra for just about anything because you really do just need to focus on starting from where you are and stop worrying about all the things in the past and the future. I know that's the advice I need each day! Besides having an awesome title, this beautiful little book is filled with so many pretty thoughts and pictures. I've been afraid to write in it because I just want to tear out all the pages and frame them. I might actually do that with a few of them, but I'm also excited for the creative exercises as well. I love prompts that make me think and create or document. 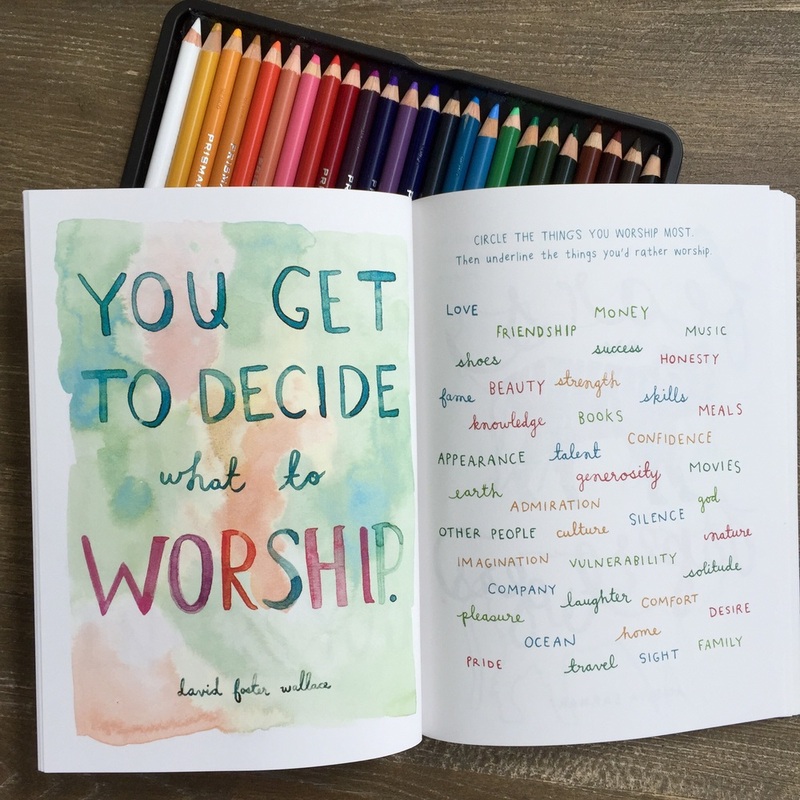 One of the biggest premises behind this book is that writing, drawing, and chart-making, such as that in the book, are important creative acts and vital (no matter how small) to mental health, inner peace, and moving our lives forward. This was a fun little page because you are encouraged to color in the emotions you have experienced. I honestly can't even imagine not having felt every single one of these feelings at some point in life. I agree with the artist that it is part of life's experience to feel a wide range in the spectrum. Some of the activities are simple like writing a list or drawing a picture. Others invite you to participate in some habits for a while (like going out to look at the sky) and then fill out an ongoing response. I wanted to find out more about the artist/author after browsing through all the pages so I thought I would share this info with all of you as well. Self-taught artist Meera Lee Patel believes that we need to start NOW, start anywhere, to move ourselves forward – and no act of creation is too small. Meera’s whimsical lines of stationery and textiles are sold in boutiques across the United States. You can also check out Free People’s interview with Meera here. 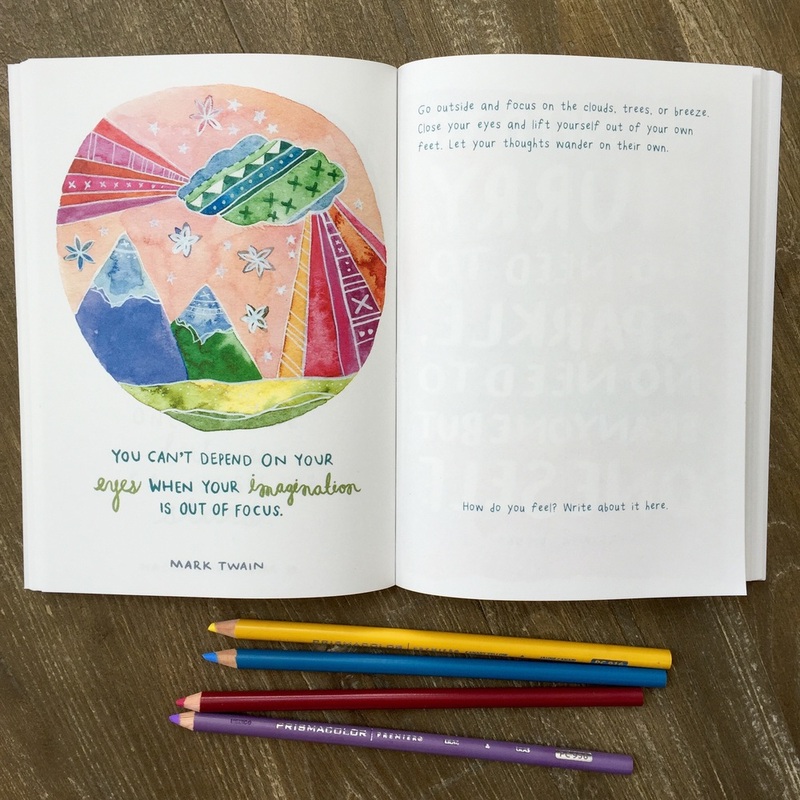 As you can draw from her art, her book START WHERE YOU ARE is also a full-color, passion-inspiring journal designed to nurture creativity, explore inner thoughts, and help us focus on how to move forward—with both our creative abilities and life. If you love creativity-inducing books like I do, I bet you will love this one. It's already become a #1 bestseller in it's category on Amazon!